Elisabeth Jordan and Elissa Romines, co-founders of The Human Impact, help homeless people in a remarkable and simple way. They don’t have a food pantry or run a shelter. They don’t collect cans and drop them off under a bridge every so often. Instead, they’re part of the community. They’re out on the streets, making friends and coming back to visit, day after day, week after week. And through their presence among homeless people, they’ve learned a few things. You may know that homeless folks can always use a good meal, but what about reading glasses, so they can see well enough to fill out a job application? What about a haircut, to boost self-esteem and look presentable for an interview? And what about a network of support (and maybe some new pajama pants) for a man who’s estranged from his family and suffering from colon cancer? 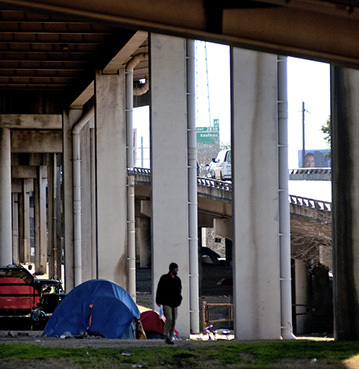 The Human Impact is an organization dedicated to helping a small community of homeless people living in South Dallas. Their territory spans six blocks and covers 500 people. Every week, Jordan, Romines, and a small team of “friends” (they prefer not to use the term “volunteer,” since it suggests something other than mutual exchange) spend time with the homeless community in this area. When necessary, they raise donations to help “meet the need.” Boiled down, their “meet the need” component is simple: by being present, the Human Impact is able to help folks on a case-by-case basis. Say, if someone needs glasses, for instance. Or new work boots. Or toothpaste. On Tuesdays, The Human Impact team often visits the homeless community twice: once for a few hours in the morning and again in the afternoon. On Thursdays they come out for a weekly “sidewalk study,” a Bible reading and (often lively) discussion. Local artist Rachel Nash helps with monthly art projects held in an abandoned lot and designed to enrich both individuals’ lives and the community as a whole. The Human Impact also provides occasional free haircuts at a pop-up salon, and has just solidified plans to hold regular AA and NA meetings under the bridge — open to anyone, of course. In short: The Human Impact is able to help enhance these people’s lives through regular appearances and small gestures, while affirming that all people have dignity, and that all people are worthy of friendship and love. Jordan tells a story about one of her homeless friends, Edward. He recently wound up in the hospital with a diagnosis of colon cancer. Estranged from his only living relative, Edward is without a support system in a serious time of need. The Human Impact is encouraging people — total strangers — to send thoughtful notes to Edward, wishing him well for a swift recovery. It’s a simple thought, but something that would mean a lot to a sick and lonely individual. Being hands-on has its pitfalls, of course. There are losses and worries and details that are hard to bear. Being part of a community and creating lasting friendships means more than just leaving each day and feeling good about yourself. Sometimes, it means losing a friend. “We’re there for people, even if they die on the street, even if they never become who we know they could be, we’re going to stick with them anyway,” Jordan says. Despite the challenges, being part of The Human Impact means being hopeful and encouraging, even if you know you can’t save them all. Some of the biggest names in Texas entertainment will be recognized this Saturday at the third annual TXMPA Impact Awards event. 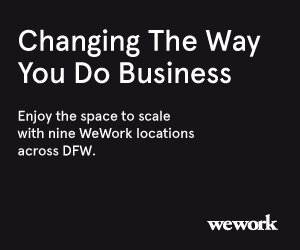 The geographical diversity of the collective is by design to place a distributed team in influential markets—such as Dallas—allowing it to stay on top of innovation nationally, and even internationally. Tara Nieuwesteeg is a freelance writer and nightlife columnist for D Magazine. She also works as a production editor for an academic publishing company.